The day Fugazi went on hiatus was a sad, sad day for me. They're one of my all-time favorite bands and the thought of never hearing new material from them again doesn't sit well with me. When I heard Ian was in a duo with his girlfriend/life partner/whatever you want to call her, I was intrigued, and even strangely optimistic. The guy's been making great music his whole life; there's no reason for him to start sucking now. And he hasn't. I love this record. I've been listening to it for three years and have yet to get sick of it. It's simplicity in form (baritone guitar, drums, vocals) belies an intricacy that really comes through once you dig into the songs. A track like "All These Governors" is three minutes long and contains about six distinct parts. And it's not crowded, not fancy, not self-indulgent (duh, it's Ian MacKaye). 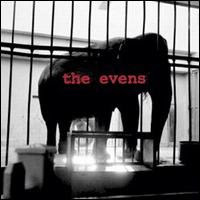 You can't compare Fugazi and the Evens; they're very different projects. But I will say this: while Fugazi's lyrics seemed global, or at least national, the lyrics on this record seem more regional. The tracks are aimed at Washington DC, both the governments and the neighborhoods. And they're great at making their point without pretension, something MacKaye has always been great at. His vocals coupled with Amy Farina's work really well, and though she's not the strongest singer, it just adds to the fragility of the songs and makes the words seem that much more honest and genuine. And her drumming shares some of that. It's not forceful, but it's very present, and perfect for this music. I've listened to this record a ton since it came out. Sometimes I get the vibe I like it more than other people do, but whatever. I stand by it: this is one of the best albums of the last five years. Wow. I had no idea you liked this that much. I have never really been able to put my finger on what it is, but I have a hard time enjoying this one. It strikes me as, I don't know, boring. Maybe I expect more. Who knows. But yeah, one of the best albums of the last 5 years? That's a pretty hefty claim.